Leland Lee is well known for his “crusade” to ban bullet buttons* and “violent video games”**, and he’s also now becoming well known for being arrested for bribery and corruption and possible ties to the triads. Sources confirm to ABC7 News that State Senator Leland Yee has been arrested on public corruption charges. 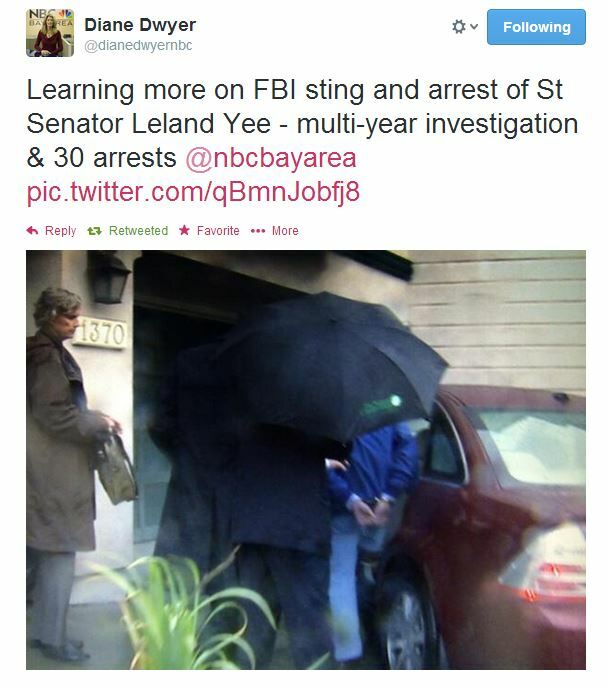 Yee was transported in handcuffs by authorities to the Federal Building in San Francisco. A series of search warrants are being executed by the FBI across the Bay Area this morning. ABC7 News has learned they are making numerous arrests in a widespread sweep involving suspected gang members. This is a breaking story and as soon as we get access to any primary sources such as copies of the warrants or any indictments, we’ll add links to them here. *A bullet button is device which makes many modern semi-automatic sporting rifles compliant under California law, as the firearm is judged to no longer have a detachable magazine under California law. This ensures that the firearm is not subject to bans based on certain cosmetic features under California’s onerous (as shown in this CalGuns Flowchart) “Assault Weapon” laws. **The law, AB1179 which was championed by Lee, was ruled unconstitutional as a violation of the 1st Amendment by the United States Supreme Court in 2010’s Brown v. Entertainment Merchants Association. Previous Post A Guide to Better Understanding the Intellectual Property Services that Prince Law Offices, P.C. Offer!